Gartner predicts that by 2020, more than $1 trillion in IT spending will be directly or indirectly affected by the shift to cloud. 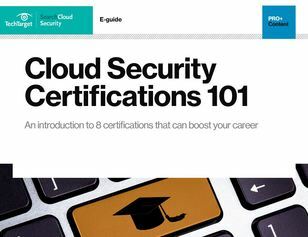 With this major shift, this is the time to boost your career with cloud security certifications to demonstrate both your skillset and knowledge to clients and senior leadership. Uncover which certifications will best suit your needs by downloading our free guides: Cloud Security Certifications 101 and Your Guide to Security Certifications.